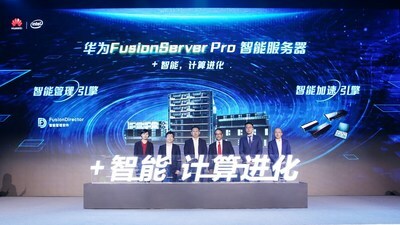 BEIJING, April 8, 2019 /PRNewswire/ -- At today's +Intelligence, Taking Computing to New Levels press conference, Huawei Intelligent Computing Business Dept announced the FusionServer Pro series of intelligent servers. These next-generation x86 servers accelerate the intelligent transformation of data centers thanks to an intelligent acceleration engine, intelligent management engine, and intelligent data center solutions for diverse scenarios. Transformation today is shifting from digital to intelligent. As the core driving force, the computing industry faces challenges in computing power and management. Featuring outstanding computing power and intelligence, Huawei's x86 FusionServer Pro will harness the computing industry and enable transformation into an intelligent world. 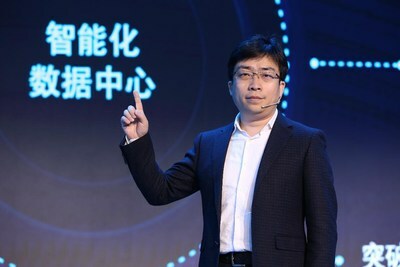 FusionServer president Zhang Xiaohua noted: "By introducing an intelligent acceleration engine and an intelligent management engine, Huawei upgrades its traditional servers to intelligent servers to help enterprises build intelligent data center infrastructure with unprecedented computing power." For more information about Huawei Intelligent Computing products and solutions, visit https://e.huawei.com/cn/solutions/hic. Huawei is a leading global provider of information and communications technology (ICT) infrastructure and smart devices. With integrated solutions across four key domains - telecom networks, IT, smart devices, and cloud services - we are committed to bringing digital to every person, home and organization for a fully connected, intelligent world.